Trish is a qualified nurse, social worker, manager and educator and is a Senior Teaching Fellow of the Higher Education Academy. Trish joined Middlesex in 2008 and has been involved in social work education since 2003, following a long career in practice where she has worked in generic social work, adoption and fostering, mental health, disability, sensory support, asylum seekers and older people's services. In her last 10 years in a Local Authority, Trish held various management posts including the management of supported housing for older people and as workforce development manager. Trish has continued her management practice since being in Higher Education, having held various roles in the Third Sector on a voluntary basis – for example as chair of Age Concern Greenwich, and as a management coach and mentor and service user trainer for Advocacy Plus. She was a Trustee for Ageing and Education (AEA) from 2009-2014 and co-founder and co-chair of the Social Work and Sexuality, International Community of Practice, co-founder and co-ordinator (2004-2013).Trish is a graduate of Middlesex University (BA Social Science; MA Deviancy and Social Policy). Her doctoral studies were in Education and examined the lifelong learning of older people using social care, which aimed to bring together educational gerontology with social work and social care. She also has several postgraduate awards in management, learning and teaching and advanced social work. She has authored, co-authored and edited 14 textbooks in areas such as leadership, management, sexuality, anti-discriminatory and anti-oppressive practice, ethics and interprofessional practice and educational gerontology. She has authored more than 50 peer reviewed papers and research reports specialising in ageing, pedagogy, adult social care, equality issues specifically LGBT issues in social work. Trish's expertise lies mainly in interprofessional learning within professional health and social care practice. She has more than 15 years' experience of teaching in higher education, specialising in social work and leadership and management. She has developed and led a number of programmes such as Best Interest Assessment, adult safeguarding. Within the local authority, she has developed many workforce development schemes to promote cross-disciplinary learning. Trish was programme leader of Interprofessional Leadership of the Public and Community Services, including its distance learning mode (2010-2015). She was Director of Social Work programmes (2011 – 2013) including undergraduate, postgraduate and continuing professional development. Trish has a keen interest in social media in learning and teaching and has piloted innovative assessment using digital media and arts. She currently teaches research methods and supervises a range of postgraduate and doctoral students. Trish welcomes doctoral students from any of the above areas of interests and is currently focusing on international and national research scholarship. She is the lead for social work research group in the Department at Middlesex and the lead for the University LGBTQI Equality Network Allies Programme. Trish is Co-Director for the Centre for Co-Production in Mental Health and Social Care which is hosted in the Department of Mental Health and Social Work. Selected projects and publications are listed below. A comprehensive list of research outputs can be found here. Being Me: Inclusive education in LGBT Aged Care. Erasmus Plus 2018-19 with UK, Netherlands (lead), Ireland and Slovenia. Social Work wih vulnerable Adults in Private Sector Housing with Helen Gleeson and Rahaman Mohammed. Keeping Control: Targetted hostility and violence in mental health and the relevance for Safeguarding Adults. Exploratory service user led national study. Funded by NIHR SSCR 18 month study ending Feb 2018, with Sarah Carr (PI), Alison Faulkner, Dorothy Gould, Christine Khisa, Claudia Megele, Rachel Cohen. LGBTQI Migration: A Scoping Review, with Edward Ou Jin Lee (PI) (University of Montreal), Olivia Kamgain, Helen Gleeson, Annie Pullen Sansfacon. Funded by SSHRC Canada. Transgender Parenting: A Systematic Review. with Christine Cocker (UEA), Becs Manning, Keira McCormack, Deborah Rutter and Moreblessing Tinarwo. Funded by Department small grants. Comic Relief Care Home Challenge Fund, Improving the quality of support to LGBTQI older people in care homes: A community training and peer audit scheme. June 2015. Principle Investigator, Trish Hafford-Letchfield, with Anchor Housing, Paul Willis, Paul Simpson, Kathy Almack. Alcohol Research UK 'Use of IBA and the role of training: Case study: IBA delivery with social work (and social care) clients: An exploratory study. May 2015, Professor Betsy Thom, Trish Hafford-Letchfield, Claudia Megele. Saracens Football Club Evaluating the effectiveness of outreach to people living with Dementia by improving personal health and fitness through a community based project awarded May 2015 Rhonda Cohen, Trish Hafford-Letchfield and London Borough of Barnet. Mental Health, Social Work and Interprofessional Learning Small Grants, Trish Hafford-Letchfield, Pat Cartney, Nicky Lambert, 2012-13 Principal Investigator 'Exploring the Community through co-productive film making': Developing digital pedagogies in social work'. Mental Health, Social Work and Integrative Medicine Small Grants, Trish Hafford-Letchfield, Nicky Lambert, Hafiz Khan, 2013-14, Principle Investigator, 'Going solo: Exploring the intimate and broader relationships of older single women without children and the implications for their support needs in later life'. Mental Health, Social Work and Integrative Medicine Small Grants, Trish Hafford-Letchfield, Bernadette Thomas, 2013-14 'Co-Project Leader 'Engaging in the public health agenda and building community capacity: Student social workers as community partners in FAST, an evidence based parenting programme'. Mental Health, Social Work and Integrative Medicine Small Grants, Trish Hafford-Letchfield, Nicky Lambert, 2014-15, Principle Investigator, 'Going solo: Exploring the intimate and broader relationships of older single women without children and the implications for their support needs in later life'. Phase 2. Mental Health, Social Work and Integrative Medicine Small Grants, Trish Hafford-Letchfield, Kate Leonard, Wendy Couchman, 2014-15, Principle Investigator, 'The impact of the arts in social work education, systematic review'. Peter Ryan , Mike Edwards , Trish Hafford-Letchfield , Linda Bell , Sarah Carr , Mike Puniskis , Sue Hannah Sid Jeeva. Research on the experience of disabled staff within the NHS Workforce: A joint report between Middlesex University and the University of Bedfordshire submitted to the Department of Health June 2015. Hafford-Letchfield, T. Lavender, P. (2014) 'Exploring learning in later life': A report of the external evaluation of Learning for the Fourth Age (L4A) SPECs project, Leicester 2012-2013. Hafford-Letchfield, T (November 2005) Report of the evaluation of the Health and Social Care Cadet Scheme. Unpublished report presented to the Greenwich PCT and LA Health and Social Care Project Management Group. Hafford-Letchfield, T., Higgins, M (2005) Mentoring for Success; a study of the effectiveness of work based mentoring to support students on an employment based undergraduate social work programme. Unpublished report presented to stakeholders and employers in South East London. Hafford-Letchfield, Trish (2019) The art of social work. In: Guest lecture hosted by University of Ljubliana, Slovenia, 9 Apr 2019, Fakulteta za socialno delo / Faculty of Social Work, Ljubljana, Slovenija / Slovenia. 2017-2019 Erasmus Plus LGBT Ageing and Vocational Education with Netherlands, Slovenia and Ireland. 2009 - 2013 Best Interest Assessor Training programme. Development and accreditation of nationally recognised programme, re-validation (2013) and regular provision of tailor made modules. Knowledge Transfer Partnerships, Fergus Lyons (PI), Holy Cross Care Trust, Ian Vickers, Mary Hartog, CEEDR, Trish Hafford-Letchfield, 2009-12, £77,329, Role: Academic Support 'Franchising of social enterprise and care pathways in mental health'. Skills for Care, Management Development Fund. Wendy Couchman, Trish Hafford-Letchfield, Kate Leonard. 2008-2009 £52k, Role: Research Fellow, Building capacity in management development for social work. Skills for Care, Service User Development Fund, Wendy Couchman, Trish Hafford-Letchfield, Kate Leonard, 2008 - 2009 £10k. Developing learning materials using approaches from Arts and Humanities. Role: Research Fellow. 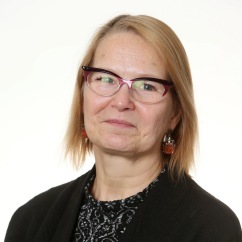 Trish is an experienced reviewer and editor and has edited a number of special editions of journals such as European Jounal of Social Work on 'Social Work Supervision; Time for New Paradigms?' (2018); Quality in Ageing on 'LGBT inclusive accommodation and support' (2016); Social Work Education on the 'Arts in Social Work Education' (2012); Social Work & Social Sciences Review on 'Leadership and Management' (2011; 2010); Practice, Social Work in Action on Gender and Sexuality in Social Work (2009). She is series editor for Essential Skills for Managing Care with Jessica Kingsley. Trish served on the board of Social Work Education: The International Journal, (2009-2014) and the Journal of Social Care and Neuro-Disability (2009-13) as reviews editor. Trish writes for a range of audiences particularly practice including digital and commissioned distance learning materials. More recently she has run two international MOOCS via FutureLearn with Professor Carmel Clancy and national workforce development colleagues in Australia and New Zealand - https://www.futurelearn.com/courses/substance-use She regularly presents at national and international conferences and is a member of 3 EU networks on ageism; mental health and LGBT ageing.